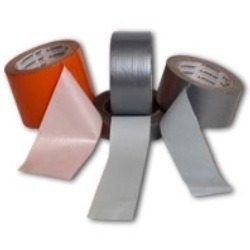 Offering you a complete choice of products which include filament tape, double sided tissue tape, cotton nwp tape, silicon rubber tape, cotton double side polyester liner and pressure sensitive tape. 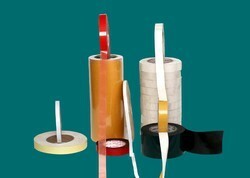 We manufacture fine quality of filament tapes that are highly used in packaging and also to join loose ends. These are suitable for light duty and as well as heavy-duty packaging and are available in many sizes, colors and grades. 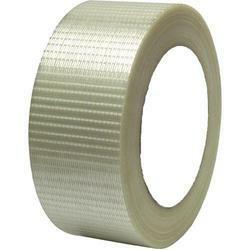 Extensively used for bundling, strapping and reinforcing, these tapes provide adhesion power, tensile strength and safety even in extreme conditions. 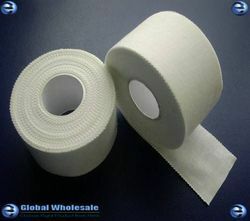 Non Waterproof Cotton Tapes which is highly demanded in the market. 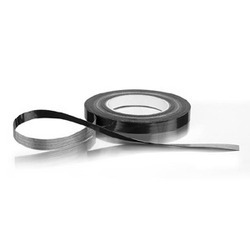 Manufactured using special adhesive formulations, these tapes offer high performance in diverse situations. 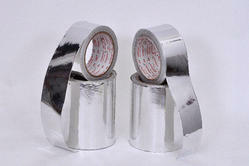 Owing to high tensile strength and optimum durability, these tapes are widely usedin motor winding & shoes industries, coil making, transformers and others. 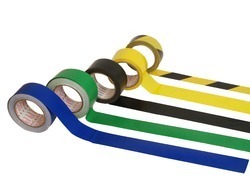 Jonson Make Silicone Rubber tape is a remarkable feat of chemical engineering that has resulted in a long lasting and highly durable protective tape. Made from cured silicone rubber, silicone tape typically contains a thin layer of silicone gel to make the product self fusing, which forms a permanentbond around whatever it is applied to. 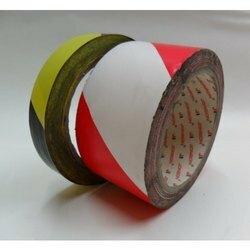 In addition, silicone tape is designed to withstand moisture, as well as contact with solvents, fuels, acids, and even splashing from soldering. 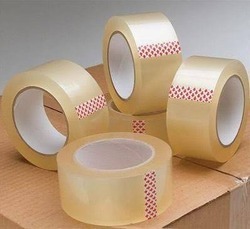 The tape consists of a pressure sensitive adhesive coated onto a backing material such aspaper, plastic film, cloth, or metal foil. 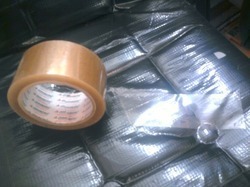 Some have a removable release liner which protectsthe adhesive until the liner is removed. Some have layers of adhesives, primers, easy release materials, filaments, printing, etc.made for specific functions. NON Waterproof Cotton Tapes which is highly demanded in the market. Manufactured using special adhesive formulations, these tapes offer high performance in diverse situations. 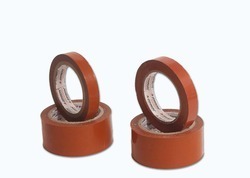 Owing to high tensile strength and optimum durability, these tapes are widely used in motor winding & shoes industries, coil making, transformers and others. 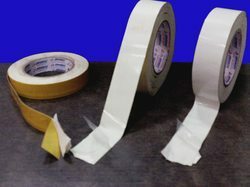 Most adhesive tapes are manufactured in log form, such as a large 1 to 3 meter wide roll, and then an adhesive tape converter is used to slit the rolls into the required widths. We are the leading manufacturer of surface protection film for all the purpose i.e. for glass, for aluminum sheet, for all kinds of new automotive parts, for LCD screen, for sunmica, for tiles, for lamination to protect from dust, scratches, sun light, rain. And also to cover the upper surface of LCD T.V., fiber glass, glass, new phone display,etc. 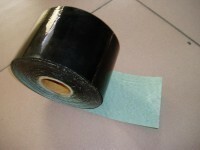 Surface Protection Tape (also known as surface protection film) by Plastic over is a solution for virtually every temporary surface protection need. Our films and tapes use just the right amount of adhesive and plastic film to adhere temporarily to your surface and provide durable, waterproof protection. 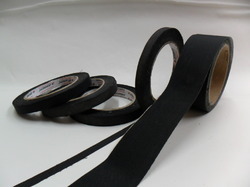 We manufacture fine quality industrial use barricade tapes that are generally used to identify and confine areas that are termed hazardous .These are widely used by security officials on roads, construction sites and other restricted areas. It is high on strength, durability and resistance to heat and temperature. It is available in different variants, colors and sizes. Useful in confining an area. Made from quality non adhesive polyethylene film. 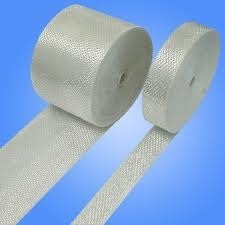 Jonson Make Mastic Tape is Used for steel buildings, grain bin bases, mobile home seams, air filtration, foundations, decks. Commonly used to mark out lines on factory floors. Easier to apply than paint and can be removed if the factory layout is changed. Can also be used in warehouses, indoor sporting arenas and public buildings to mark out areas on the floor. Another common use is as a shutter tape on construction sites for sealing during the pouring of concrete. 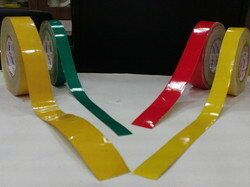 In fact this product is ideal for any use where a colored tape with aggressive adhesive and strong backing is required. Examples include pipe colour coding, joining plastic sheets, patching torn sheeting, sealing gaps, strapping, etc. 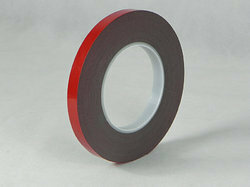 A premium lane marking tape exhibits excellent adhesion, tack and good cohesion strength. 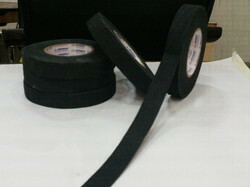 The adhesive is specially formulated rubber based adhesive for high adhesion application. It also has good resistance to solvent, oil and water. 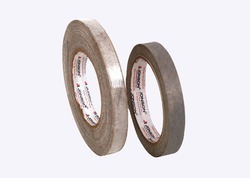 We manufacture a wide and quality range of duct tapes which are known for their strength and strong bonding. These are very useful for packaging and not only that they are also used by military as these are water proof and versatile for different industrial as well as domestic and household use. These are also used for hot and cold ducting apart from being water proof utility. 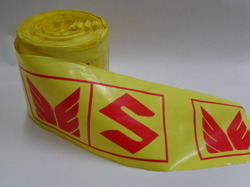 Bright yellow official crime scene barrier tape is useful for blocking off danger areas. For the protection of pipes, fittings and similar structures from corrosion buried or immersed. 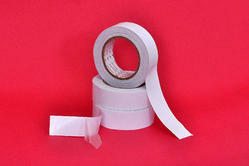 In fact, it is common to replace the paper tape used to float the joint between two pieces of sheetrock. • Plastics • Many more. Used for peel off test to ensure proper dryness of paint coating / powder coating. Specially formulated adhesive that leaves no residue on the surface and peels off without breaking. 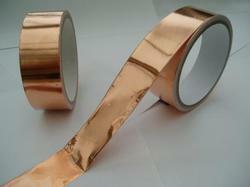 Different qualities of tapes can be made available for different requirement of peel strengths. Metal working, pipe manufacturing and general industrial. Metal bundling, couragate boxes, import packaging etc.